Filing bankruptcy is a good way to erase current debt when you find yourself unable to pay your way back to financial stability. This could mean a variety of things, including the possibilities of your house being foreclosed, owing a lot of creditors, or being very much behind on loans. But exactly when is a good time to declare bankruptcy? Having bad debt can put your credit report, credit score, and credit history in jeopardy. In an effort to get your finances back on track, filing for bankruptcy will be helpful, but you must know when to declare bankruptcy. 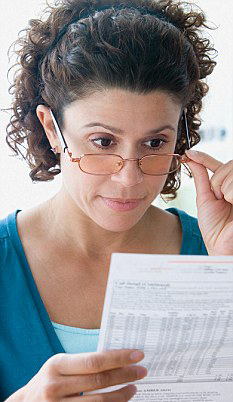 First, let us go over the types of bankruptcies you can file. If you have decided that the best method of erasing your debt is to file for bankruptcy, you must first understand which type of best for you to file. After making this decision, you will know that it is time to file. When you file bankruptcy, you must file your case through the federal courts. Defined by law, there are six different types of bankruptcy. Chapter 7 – one of the most popular types to file, this type is commonly known as straight bankruptcy. During this type of bankruptcy, an individual appointed by the court can sell your property as a means to repay creditors. Chapter 9 – this type of bankruptcy applies to municipalities (cities or towns) that are struggle in debt. Chapter 11 – this is the third most common type of bankruptcy. This type is most often used to relieve businesses of financial issues. Individuals can use this type as well. Chapter 12 ­– this type of bankruptcy is used to help out with the debts of individuals whose primary job is a farmer or fisherman. Chapter 13 – this is the other most popular type of bankruptcy. This type involves a court-approved plan for you to settle your debt over a 3 to 5 year penalty. It is also possible that some of your debt gets overturned. Chapter 15 – this type of bankruptcy applies to individuals with debt in the United States and in another country. These types of cases are known as cross-border cases. Once you have determined the type of bankruptcy you should file, it is safe to continue on your journey of knowing when to declare bankruptcy. Choose A Lawyer. Choose a lawyer if you would like, but one is not needed to file for bankruptcy. If you choose to use one, try finding one at the lowest cost. Complete Credit Counseling. You must complete a credit counseling session and receive a certificate to file bankruptcy. Your counselor is responsible for reviewing your situation and offering advice on if you should and how to move forward. Get the names of credit counselors from your federal court or lawyer. Submit A Bankruptcy Petition. Submitting this document involves showing your income, debts, and assets through financial statements. You must also be required to submit a means tests, which determines the bankruptcy your income qualifies you. This is where you would also pay filing fees. You Are Assigned To A Case. During this process, your bankruptcy representative will arrange to meet with your creditors in an effort to come to a conclusion on fixing your debt. The Judge Decides On Your Case. Based on the information you have given throughout the process so far, the judge will decide the fate of your case. Make sure to not have committed fraud during your filing, or you could lose your case or face criminal prosecution. Take A Debtor Education Course. This is the final step in the process. During this course, you will get advice on money management. Once you have completed the course, you will receive certification of completion. By this time, your debt has either been erased or a repayment plan has been set in place. Now that you know when to declare bankruptcy, you must realize the consequences. Bankruptcy affects your credit score and shows up on your credit report. Depending on which chapter you file, it could take up to 10 years for the matter to be erased from your credit. Negative feedback on your credit can result in a number of things, including the inability to take out loans, get a credit card, or find employment. Knowing when to declare bankruptcy also includes knowing if you really need to file. Try negotiating with creditors on your own. See if they will allow a different plan for repayment or in the case of auto loans, see if you can refinance. In an effort to get manageable mortgage payments, try using federal housing agencies. However, in your search to help with you debt, beware of unsolicited offers from companies that claim to be able to help you. If you owe in taxes, try contacting the IRS for a monthly payment plan. Bankruptcy exists in an effort to help individuals and businesses start over and get out of debt. But knowing when to file bankruptcy could present a dilemma. This is where you must consult with you lawyer, do research, and carry out filing as the law requires. Those tips will help in deciding when to file bankruptcy, how to do it, and how to move forward afterward.